Members of the public made the most of a bad situation in the city of Uppsala, Sweden, when heavy rain flooded parts of the central railway station and turned it into a makeshift swimming pool. 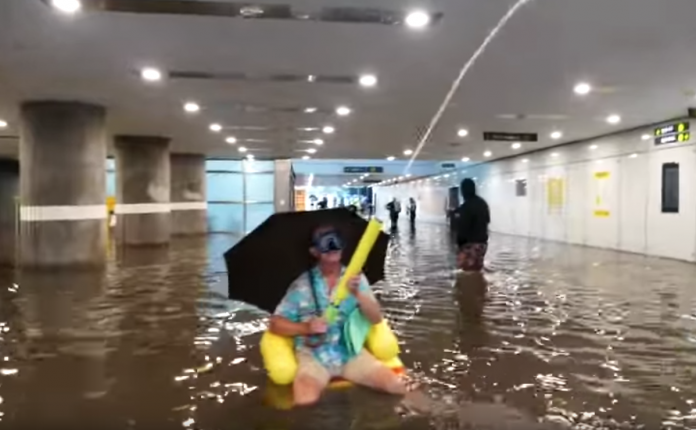 Equipped with inflatables, beach toys and umbrellas, passengers seized the opportunity to go for a paddle in the station’s underpass at the end of July – albeit not in the most hygienic conditions. Confusion over whose responsibility it was to pump out the water led to a short delay on pulling the plug on the swimming pool, according to local media, but the water has since been removed.